One of the most successful chapters in Porsche’s motorsport history comes to an end next Saturday: The ninth and final round of the 2017 FIA World Endurance Championship will be the last race entry for the Porsche 919 Hybrid. The first test version of the Class 1 Le Mans prototype was rolled out by an entirely new team at Porsche’s research and development center in Weissach back in 2013. The power train concept was as innovative as it was brave, consisting of the most efficient combustion engine Porsche had ever built combined with two different energy recovery systems. Despite a difficult test period, 2014 saw the first positive results: four pole positions and the first race win. 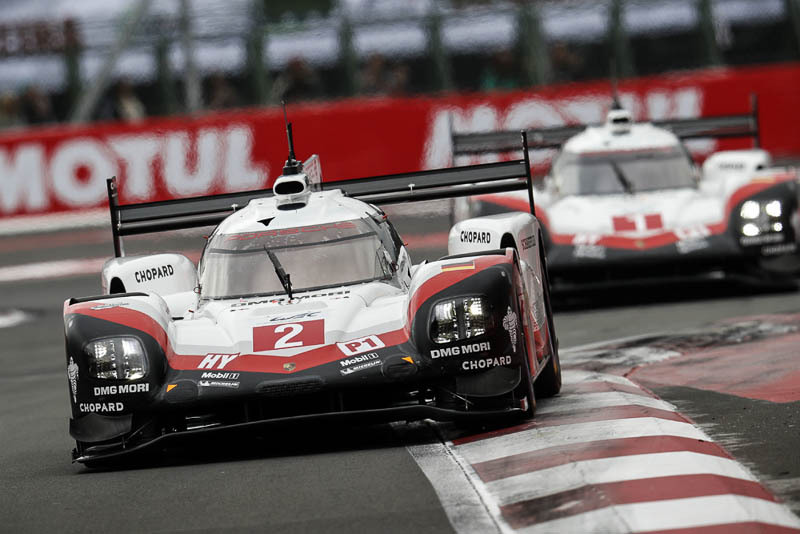 Since 2015 to date, the Porsche LMP Team has been phenomenally successful: three consecutive Le Mans outright victories plus three successive manufacturers’ world championship titles while Porsche 919 Hybrid drivers have won the drivers’ world championship title on three occasions. When Porsche entered the LMP1 category for the 2014 season, this happened in the footsteps of Ferry Porsche’s philosophy, who established motorsport as the ultimate challenge and development cycle. The 2014 LMP1 technical regulations presented a tremendous challenge: It required hybrid technology from manufacturers and at the same time, penalized a high amount of recovered energy by limiting the fuel consumption; on top of that it left huge individual freedom on how to deal with these complex requirements. The Porsche engineers didn’t focus on existing race cars but made full use of the chance to create a revolutionary race car from scratch. The Porsche 919 Hybrid develops a system power of around 900 HP (662 kW) that comes from a compact two-litre turbo charged V4-cylinder (nearly 500 HP/368 kW) engine and two different energy recovery systems – brake energy from the front axle combined with exhaust energy. The combustion engine drives the rear axle while the electro motor boosts the front axle with an output of more than 400 HP (294 kW). This way the 919 accelerates with four-wheel drive and at the same time recuperates energy again from the exhaust system that otherwise would pass unused in to the atmosphere. The electrical energy that comes from the front brakes and the exhaust system is temporarily stored in a liquid-cooled lithium ion battery. Money can’t buy what Porsche has learnt from the 919 program for future road going hybrid and electric cars. Dimensions unknown before were discovered in, for example, the areas of combustion efficiency, battery and high voltage technology as well as energy recovery.